THE TAURING ALPHA 160 CNC-4 IS A PYRAMID-STYLE, HYDRAULIC ROLL BENDER WITH RECTILINEAR GUIDED BOTTOM ROLLS, IDEAL FOR BENDING A WIDE VARIETY OF APPLICATIONS. Machine Dimensions: 76" x 75" x 75"
The TAURING ALPHA 120 CNC-4 emerges away from the bending machines that are presently in the market, thanks to the new Rectilinear Guides Construction System that guarantees more rigidity and stiffness to the entire machine. 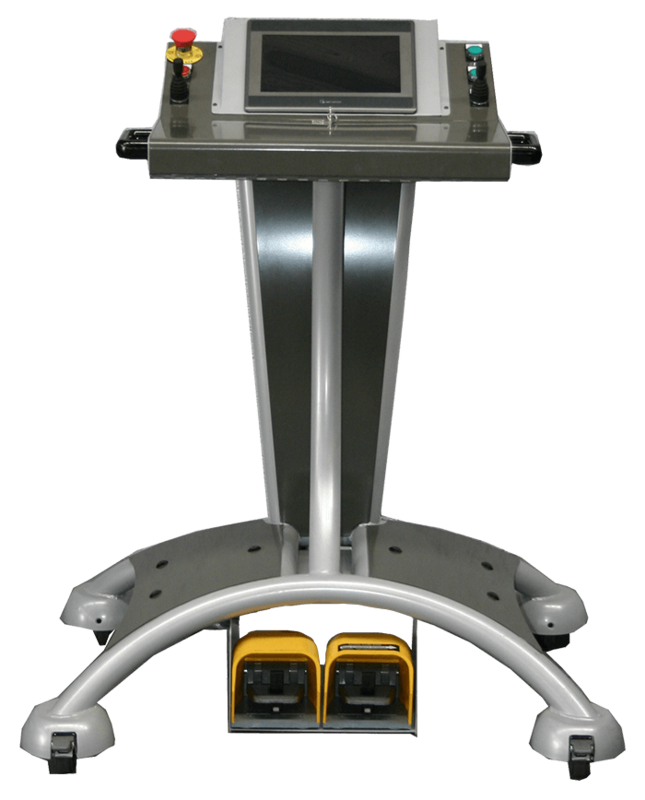 This allows for more precise positioning and improves a lot of the bending conditions in respect to the classical orbital machines, that are still present today in the market. The profiles that can be bent are more numerous, obtaining bending results unthinkable until very recently. 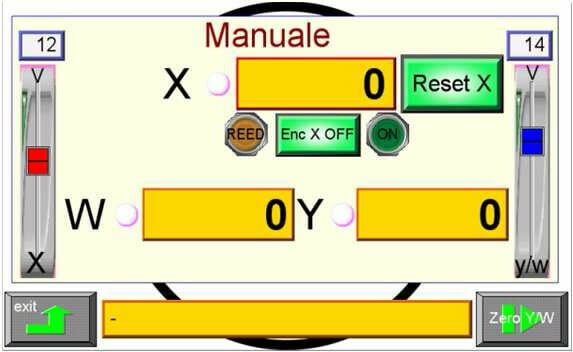 • Numerical Control on wheel-mounted console. • Joystick grip for axis movement command. • Double command pedals for the right and left rotation. • Emergency button for mechanical stop. • Locked compartment for ARC Meter, pen drive, instruction manual. • 10” LCD colors monitor LCD touch screen. • N ° 200 storable programs, each with up to 250 steps. • N ° 50 Storable Profiles. 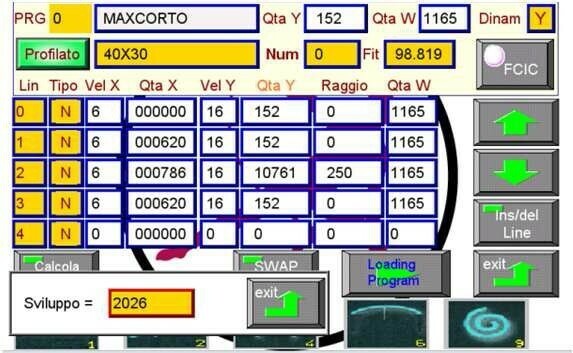 • Automatic FIT calculation (Profile Accuracy). • N° 20 Speed Set for Each Axis. • Positioning accuracy 50 µm. • Completely made according to Tauring specifics. • Simple and intuitive, with the main controls at users’ disposal thank to its touchscreen 10”. Each bending axis can be managed in a completely independent way. The user can have at his disposal up to 20 different speeds per each axis. It is possible to insert the significant data of each profile, so as to create a characteristic bent that allows to directly set up the desired bending radii. Of every shape or bending radius, thanks to the direct insert of material development and bending radii. The adjustable speeds allow the user to manage in an easy way the joints between straight and bent parts or between different bending radii. The users have at their disposal many pre-programmed macro, in order to simplify the creation of the most common shapes, like pointed arch, spiral, Mediterranean arch and many others. By inserting few simple data. The users can quickly realize complete programs for bending many different shapes.